Just Jingle: Pinkfresh Studio February Blog Hop and Giveaway! Welcome to the Pinkfresh Studio February Kit Blog Hop! 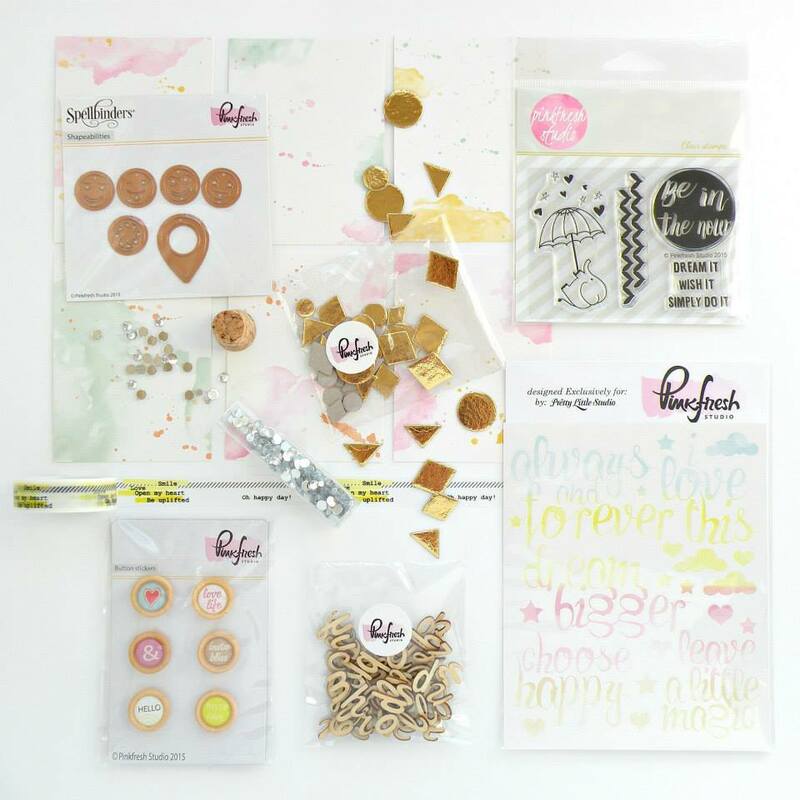 We are SO excited to share this months fabulous kit with all of you! If you came from Christin's blog you are on the right track! If you just found us and would like to start from the beginning simply hop on over to the Pinkfresh Studio blog and follow the links along the way! I created this card using the February kit. I SO love the adorable stamps, dies, and embellishments in this kit!!! I pulled out a sheet of paper from the Up in the Clouds collection as my background, and the stickers, gems, and stamp were all from the kit. SO FUN! AND, we are not only sharing some inspiration using the kit, but we are also giving away TWO kits! One lucky winner will win the January kit and one lucky winner will win the February kit! You guys, for reals, these are SUCH AWESOME KITS. There are three ways to enter! Do one or all three! 1. Comment on the Pinkfresh Studio Blog. 2. Like the Pinkfresh Studio Facebook Page. 3. Follow Pinkfresh Studio on Instagram. Winners will be announced on the Pinkfresh Studio blog on 23 February. Pinkfresh Sneaks start on the 5th of every month and a new kit is released on the 15th of every month! Check out the Pinkfresh Studio website to subscribe and get HAPPY MAIL every single month! YAY! The next stop on the hop is Kristen! Adorable card! Love the sweet stamp you used and the pretty, soft coloring! Awesome kit! Totally cute card! My favorite thing is your raindrops. Cute colored elephant! I have my eye on that stamp for baby cards! Just looking at this card makes me feel happy! The colors paired with that cutie lil elephant are just so sweet! Super cute card! I love the beautiful colors and cute elephant. love your upside down elephant! Really cute, love that ellie! 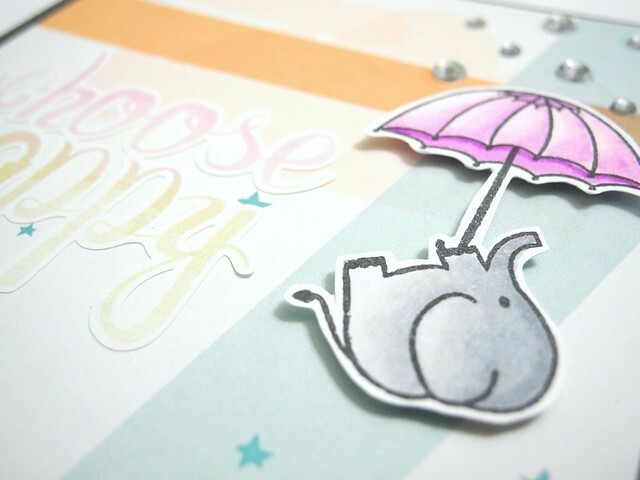 Love the little elephant being flown away by the umbrella. Adorable, as usual, Jingle! I love the upside down elephant! Awesome kits, that elephant with umbrella is adorable! Good luck to everyone! what a sweet card! love your floating gems!! too cute! Your card is so sweet!! What a fun and happy card.